Hey guys I have been away for the past two weeks, because I was super busy with work and coming home too tried that I just didn't have any energy to blog. 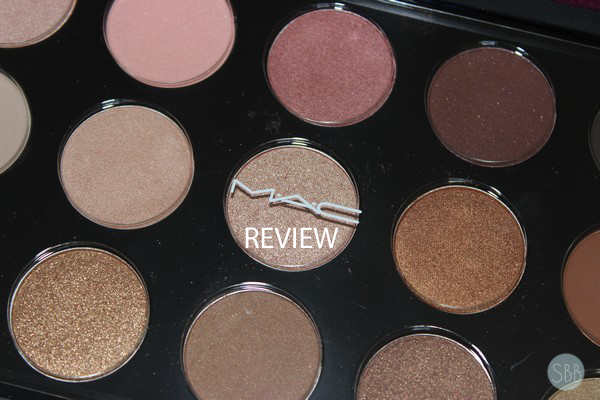 I'm sorry but now I'm back with a new blog post I hope you all will enjoy this review on the MAC 15X Warm Neutral Palette. Above I wrote out the finishes for each of the shadows. I like how this palette comes with different finishes it comes with all the different finishes that MAC offers from their eye shadows. As well I like that there are shades that are exclusive to the palette. However like with any palette any exclusive shades, once they are done you can't buy them on there own. My favorite shades are Saddle which is a perfect transiting colour for any look with this palette. Dark Brew, Amber Lights and Divine. I don't like the Luster shadows as I feel they don't apply to well. For these I use Fix+ to apply them because on there own I don't feel they apply well. I feel they almost go on the lid like a pressed glitter shadow. I think this is a perfect palette for the fall is comes with beautiful colours and you can create countless looks with this palette. Great as a gift for a friend or family member. The price of this palette in Canada is $99.00 and you get 15 eye shadows. 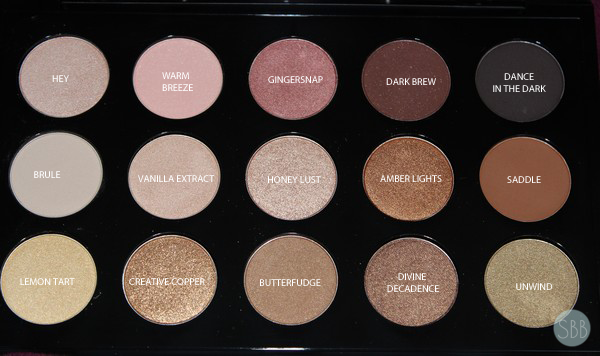 Have you tried any of MAC Cosmetics 15x palettes? These shades looks great, really nice pallette. I have couple of mac eyeshadow, and trying to collect 12 more on this palette that I have! It is so hard because I see myself using naked palettes more often so I think it would be waste of money if I will all the hole on my palette. lemon tart is my FAVORITE!!!!! I don't know what I'm going to do when I run out of it! OMG these colors are amazing <3!